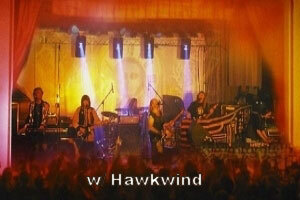 We are always interested in setting up shows - both single gigs & tours! 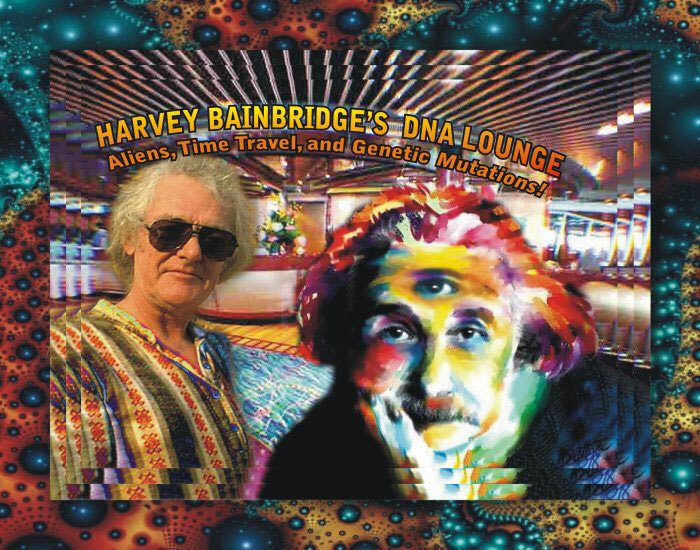 Any promoters, booking agents, or bands that are interested in working with us can contact me directly by email (Jim Lascko) or at the following number (216) 252-6148 for our most up-to-date plans and more information about booking Harvey Bainbridge and/or The Solar Fire Lightshow! We are working on more dates in England, Holland, & Germany and will post them immediately if they are confirmed! 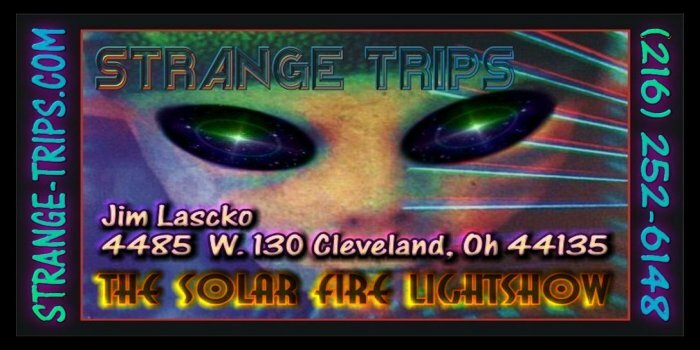 Below is more information on The Solar Fire Lightshow & our Strange Trips organization! 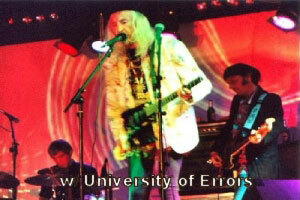 The Solar Fire Lightshow has provided lighting for many spacerock acts from all over the world. It's a 3D Psychedelic Lightshow featuring space scenes, stars, swirling kaleidoscopic colors, moire`s, black lights, strobes, smoke, and moonflower effects. 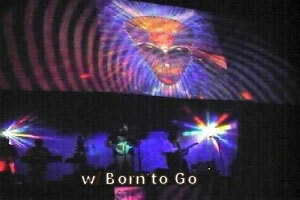 An extrasensory overload and lush, psychedelic feast for the eyes, it can provide a stunning visual backdrop for almost any musical act. 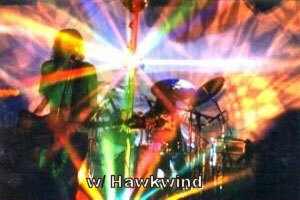 We were invited to New Zealand and Australia to provide visual stimulation for the Hawkwind audiences (who attended Hawkwind's first ever down under tour) and have recently helped out with lighting on Hawkwind shows in England, Scotland, and Ireland. After touring with Harvey Bainbridge during his 2000 US Tour, we embarked on another US Tour in 2001 that featured Mr. Quimby's Beard, Harvey Bainbridge, and Nik Turner & Friends. 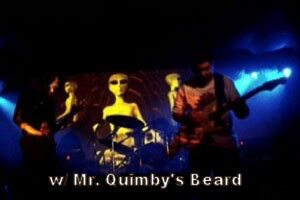 Our last project involved touring Europe with the incredible Mr. Quimby's Beard in 2002 and shows in Denmark, Holland, Belgium, and Germany! 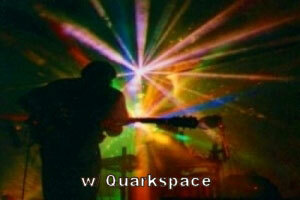 ...is an organization dedicated to promoting the independent SpaceRock music scene around the world. 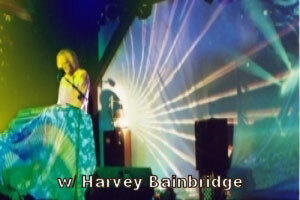 Our flagship event has been the Strange Daze Festival held in the USA for many years. 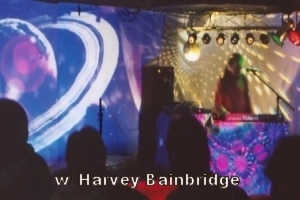 This festival has featured some of the best bands and personalities in the Space/Psychedelia scene - Hawkwind, Harvey Bainbridge, Nik Turner, Pressurehed, Farflung, Anubian Lights, and Daevid Allen....to name just a few. Our website has an interactive Online Spacerock Community and offers varied multi-media featuring the hottest SpaceRock bands and much more. We also sell limited edition video's and CD's (put out on our own Strange Recordings label) of some of the most popular shows that we have done in the past!